What is a rep? Exercise science is finding new answers for this basic question. 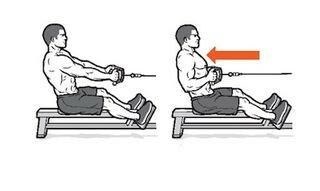 For many lifts, guys tend to do standard reps: one second up, one down, racing through sets. But by making certain phases agonizingly slow, you may force your muscles to work harder. The next time you bench or squat, raise the bar explosively and take four seconds to lower it. Now that’s a rep.
Tempo training, or the strategic slowing of certain phases of an exercise, may force you to concentrate on the muscle being worked. 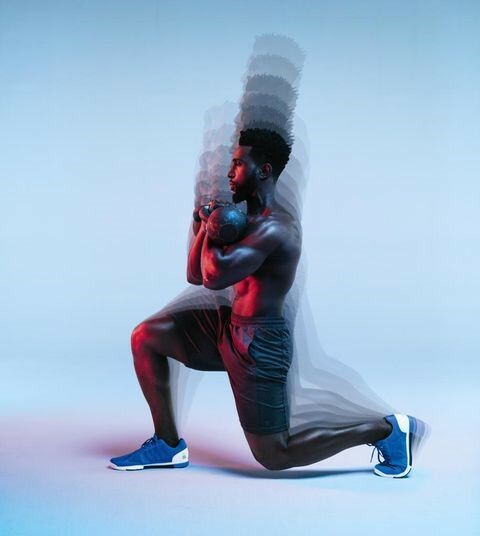 A study in the European Journal of Applied Physiology found that focusing on a specific muscle group in use when doing resistance training may increase those muscles’ activity. The white coats can’t say tempo training builds more muscle than fast lifting, but it does have benefits, says trainer Pat Davidson, Ph.D. It’s how he turned the Springfield College Ironsports team into a national power. That said, tempo training isn’t meant to be used with all exercises, says Mike T. Nelson, Ph.D., C.S.C.S., owner of Extreme Human Performance. If you’re doing highly technical lifts, such as a heavy deadlift, slowing down a phase could lead to injury. 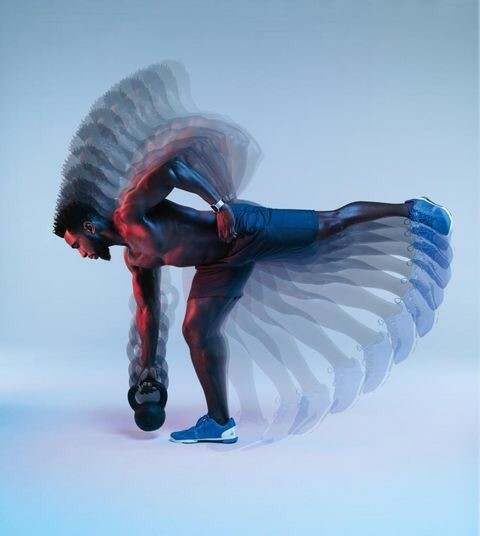 Same goes for explosive moves, such as Olympic lifts, jumps, and throws, which are designed for speed. But if you’re ready to try it with other moves, here’s how. A note on tempo: If your program says “front squat: 3×5; 3-2-0,” that means you do 3 sets of 5 reps (3×5) of front squats. 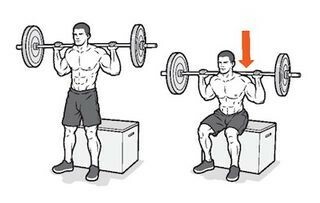 The first digit (in this case, 3) indicates the duration of the lift’s lowering phase in seconds, so you’d take 3 seconds to reach the bottom of the squat. The middle number (2) tells you how long you should hold the bottom portion of the lift. The final number (0) indicates how long the final lifting phase should take, so a zero means you should quickly power back to the start. In this phase, you’ll fortify the weakest sections of your lifts. You’re spending extra time on the negative portion of each rep before powering out from the bottom. In these weeks you’ll build more control and the ability to power out of lifts. 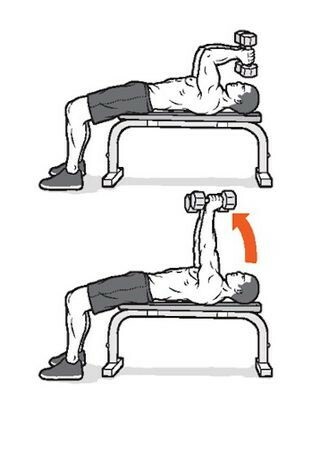 On each rep, you’re holding at the bottom for 6 seconds, eliminating all momentum. By now, you’ll have more plates on the bar and should do controlled but explosive reps, spurring muscle growth. The tempo work should now yield benefits. When it’s slowed down, the front squat rocks your lower body and core. And it’s safe: You can drop the bar if the long reps become too much. 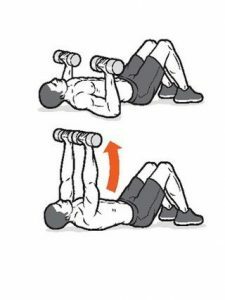 The dumbbell skull crusher strengthens your triceps, the largest muscle in your arm. This will improve your pushing power on all the exercises you do.